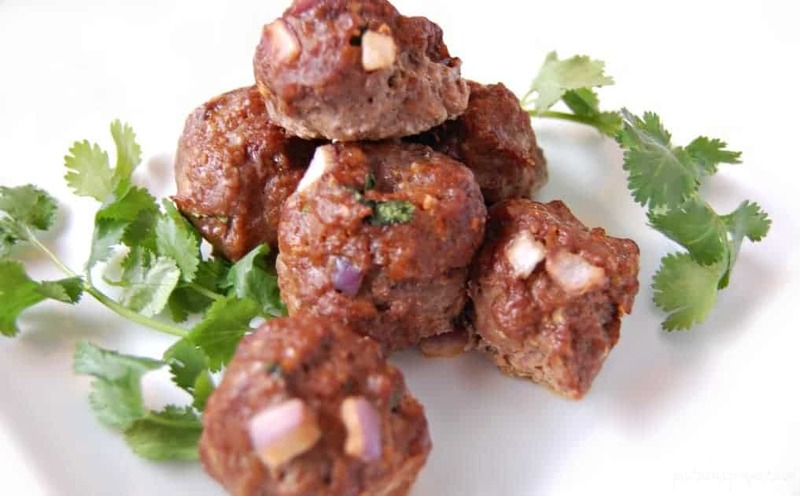 I’ve talked about how meatballs are one of my kids’ favorite protein sources for lunch. It’s so easy to make meatballs in large amounts and then freeze them for later. We try to stay low-grain in our household and most meatballs have grains in one form or another. I created my deliciously simple meatballs that have no grains in them and we make them all the time. And therein lies the problem. We make them so often that the kids got bored of them! Naturally taco seasoning are a perfect pairing for meatballs. So much so, that I’ve been known to crumble already cooked taco meatballs for when we were out of taco meat. These meatballs are still grain-free although I’ve also experimented with adding corn to the recipe, which while sweet corn technically is considered a vegetable, many also still put it in the gain category. In any case, I’m leaving corn out of this recipe but know that if you could toss in a handful of sweet corn, if you so desired. In medium bowl, add all ingredients. I like this idea a lot! Thinking the family will devour these ! Ps found u on Thank goodness its Monday link party? I am so glad to find a meatball recipe that doesn’t contain some form of gluten. This recipe is perfect!! I can’t wait to try it! I will be trying out this recipe soon! Thanks for linking up with What’s Cookin’ Wednesday! 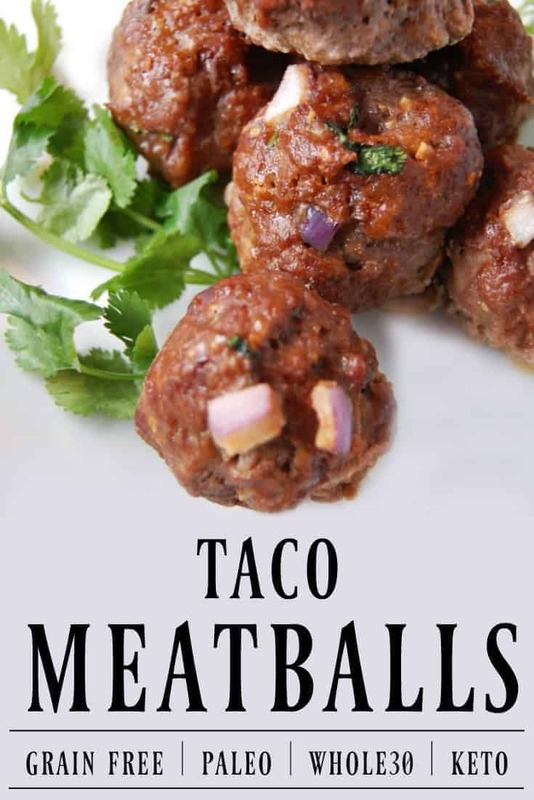 Oh yum…I am always looking for doff meatball recipes…will try these this week! Hi Brittany – These look wonderful. I really need to take the time to make some meatballs – they are so good. Thanks so much for sharing with the Let’s Get Real party. Why didn’t I think of this? What a great idea! I’m glad I found you at the Healthy Living Link Party and I pinned this to my recipe board. Thanks! Great meatball recipe! We just did a bunch in bulk a couple months ago with our venison burger. Thanks for linking to the Homestead Blog Hop!